Chris Pratt surprises wife with cameo role! Chris Pratt kindly volunteered his considerable talents and agreed to guest star alongside Mrs. Pratt and so her real-life husband is scheduled to play Christy’s love interest in the show. The character he plays is described as ‘a very charming riding instructor’ who Christy / Anna Faris / Mrs. Pratt takes a liking to. It’s not the first time that husband and wife have worked together, although this is reportedly the first time he’s appeared alongside wifey on her latest show. More recently Mr. Pratt has been busy working with Jennifer Lawrence on the big screen sci-fi movie ‘Passengers.’ Chris also stars in the record breaking ‘Guardians of the Galaxy’ which is due out next summer. The actor is certainly no prat. In fact, Mr. Pratt was the highest grossing actor in 2014. A ceaseless supporter of uncle Sam’s troops, he remains grounded. Speaking as a man of faith, he attributes meeting his wife to divine intervention. For now, he’s enjoying his roles to the max since he has rightly said, ‘You never know what’s next’ Quite! 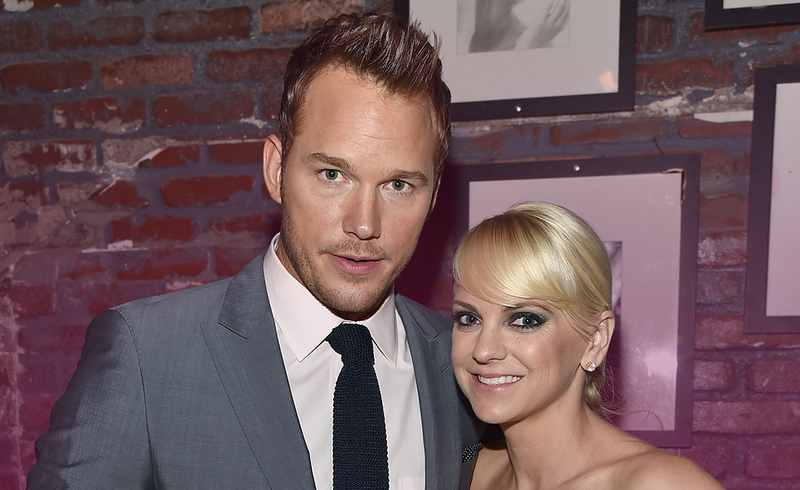 You can see Mr. & Mrs. Pratt in action in the new series of ‘Mom’ scheduled for October 27th. So which cards did the inimitable Mr. Pratt draw today? We have the Nine of Wands, the Ace of Wands and the Prince of Pentacles. Not a heart in sight! The Nine of Wands reveals someone who is working very hard right now, I feel that he is preparing to defend himself in the work arena. There is a defensive energy around Chris while he is focused on current roles. There is uncertainty around what is next for him. The Ace of Wands is the ‘new job’ of working with his wife. There is a mischievous energy around the couple as well as a sense of unity. The Prince of Pentacles represents the pay check. Chris is hard working guy and will continue to do great work in whichever role he engages. I feel that he is a little preoccupied with money right now but this is more about providing a financially stable future for his family rather than being overly materialistic. Chris will continue to focus on his career goals with confidence and competence as he carries out his objectives in a steady and mature manner. I feel that there is a sociable time ahead of him in work and play. He is wished all the best with his new role. Previous ArticleKristen Stewart and St Vincent?Next ArticleChris Hemsworth`s Marriage is in Trouble – Or is it?